People sometimes ask, “Have you seen God?” or “Can you show me God?” Sometimes we meet these questions. So the answer is “Yes, I am seeing God. You can also see God; everyone can see God. But you must have the qualification.” Suppose something is wrong with a motorcar; it is not running. Everyone is seeing it, but a mechanic sees it differently. He’s qualified to see it with greater understanding. So he replaces some missing part, and immediately the car runs. But although for seeing a machine we require so much qualification, we want to see God without any qualification. Just see the folly! People are such rascals, they are such fools, that they want to see God with their imagined qualifications. “No, no, no,” said Kṛṣṇa. “My mother will be angry! 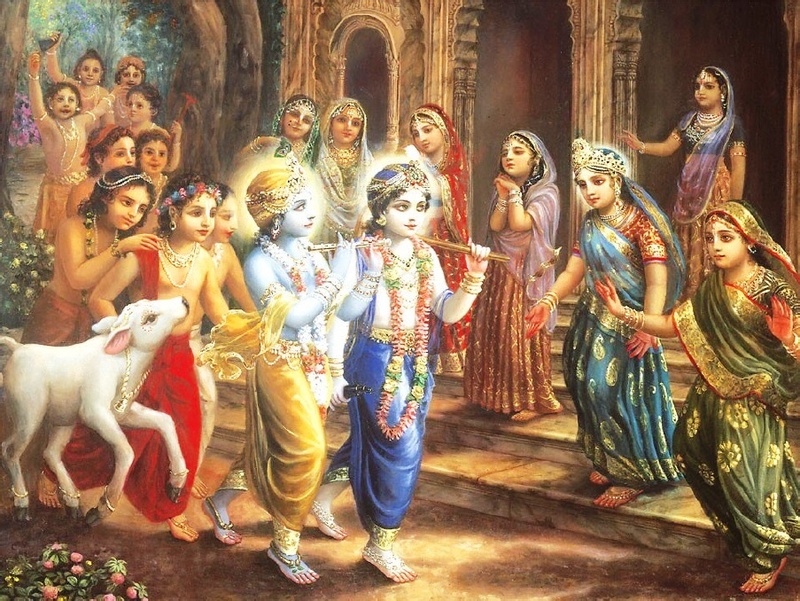 I cannot give them away.” Kṛṣṇa was playing just like a child. So the thief became more and more eager for Kṛṣṇa to give Him the jewels, but by Kṛṣṇa’s association he was becoming purified. Then at last Kṛṣṇa said, “All right, you can take them.” Then the thief became a devotee immediately, because by Kṛṣṇa’s association he had been completely purified. So somehow or other you should come in contact with Kṛṣṇa. Then you’ll be purified. This eagerness is required. We must be very, very eager to see Kṛṣṇa. Many gopīs who were forcibly stopped from going to Kṛṣṇa lost their lives because of their great feelings of separation. So this eagerness is wanted; then you can see God. Whether you are lusty or a thief or a murderer or whatever it may be—somehow or other you must develop this eagerness, this desire: “I must see Kṛṣṇa.” Then Kṛṣṇa will be seen. The first thing Kṛṣṇa is looking for is how eager you are to see Him. Kṛṣṇa will respond. If you are actually eager to see Kṛṣṇa—whether you are lusty, or you want to steal His ornaments, or some way or other you have become attracted to Kṛṣṇa—then it is sure your efforts will be successful. The idea is that one gopī is advising another gopī, “My dear friend, there is one boy—His name is Govinda. He is standing on the bank of the Yamunā near the Keśi-ghāṭa, and He is playing on His flute. He is so beautiful, especially during this full-moon night. If you have any intentions to enjoy in this material world with your children, husband, or other family members, then please do not go there.” Bhaṅgī-traya: Kṛṣṇa always stands in a three-curved way with His flute. That is Kṛṣṇa’s tri-bhaṅga form, bending in three places. So the one gopī says to the other, “If you think that you’ll enjoy your life more in this material world, then do not go to see Kṛṣṇa. Do not go there.” The idea is that if you once see Kṛṣṇa, then you’ll forget all this nonsensical materialistic enjoyment. That is seeing Kṛṣṇa. 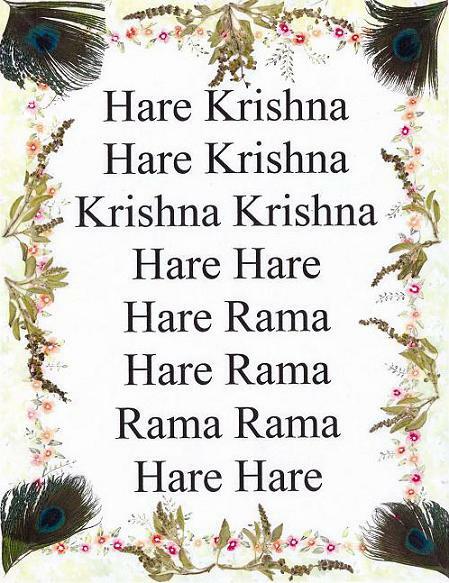 When Dhruva Mahārāja saw Kṛṣṇa, he said, svāmin kṛtārtho ’smi varaṁ na yāce: “My dear Lord, I don’t want anything else.” Dhruva Mahārāja went to see Kṛṣṇa to get the kingdom of his father, and when he saw Kṛṣṇa, Kṛṣṇa offered, “Now, whatever benediction you want, you take.” Dhruva said, “My dear Lord, I no longer have any desire.” That is seeing Kṛṣṇa. So, if you’re eager to see Kṛṣṇa, regardless of whatever motive you have, somehow or other, due to your eagerness, you’ll see Kṛṣṇa. That is the only qualification. Yes, Kṛṣṇa consciousness is available. You can purchase it from this Kṛṣṇa consciousness movement. But what is the price? It is such a nice thing, but you have to pay the price. What is that? Tatra laulyam api mūlyam ekalam: Simply your eagerness. That is the price. You have to pay this price. Then you get Kṛṣṇa, immediately. Kṛṣṇa is not poor, and the Kṛṣṇa-seller—the Kṛṣṇa devotee—he’s also not poor. He can distribute Kṛṣṇa free. And he’s doing that. You simply have to purchase Him by your eagerness. Someone may say, “Oh, eagerness? I have eagerness.” Ah-h-h… but it is not so easy. Janma-koṭi-sukṛtair na labhyate: This eagerness cannot be achieved even by executing pious activities for millions of births. If you simply go on performing pious activities, still this eagerness is not available. So, this eagerness is a very important thing, but it can be awakened only by the association of devotees. Therefore we are giving everyone a chance to invoke that eagerness; then you’ll see God, face to face. This life is meant for seeing Kṛṣṇa. It is not meant for becoming dogs and hogs. Unfortunately, the whole modern civilization is training people to become dogs and hogs. It is only this institution—this Kṛṣṇa consciousness movement—that is teaching people how to see Kṛṣṇa. It is so important. Tac chraddadhānā munayo jñāna-vairāgya-yuktayā [SB 1.2.12]. By eagerness, you’ll automatically be enriched with knowledge and detachment. Knowledge does not mean “Now we have discovered this atomic bomb.” That is not knowledge. What knowledge is that? People are already dying, and you have discovered something that will accelerate death. But we are giving knowledge to stop death. That is Kṛṣṇa consciousness; that is knowledge. Jñāna-vairāgya-yuktayā. And as soon as you get this knowledge, automatically you become detached from all this nonsensical materialistic happiness. 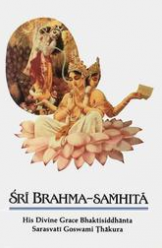 Previous Srila Prabhupada Receives the First Big 1972 original unrevsied Bhagavad Gita As Next You still don’t have the VedaBase ?